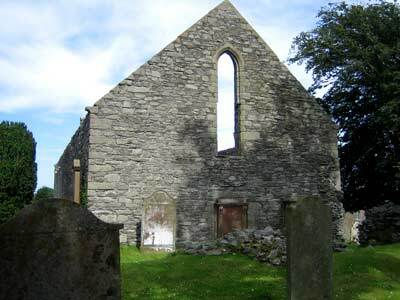 Whithorn is the earliest known Christian foundation in Scotland. 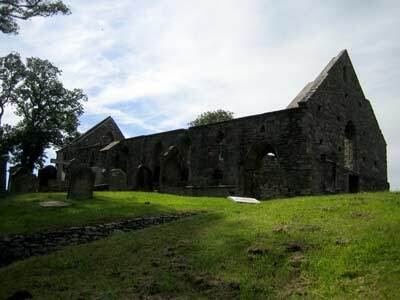 It was reputedly established by a "most reverend holy man of the British race", St Ninian, about AD500. 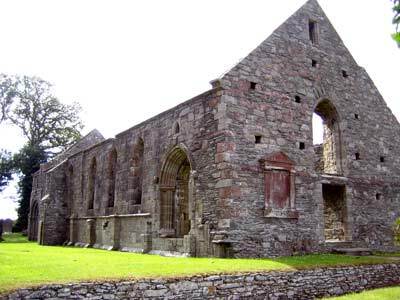 He returned from studies in Europe on a mission to convert the southern Picts, more than half a century before St Columba arrived at Iona. 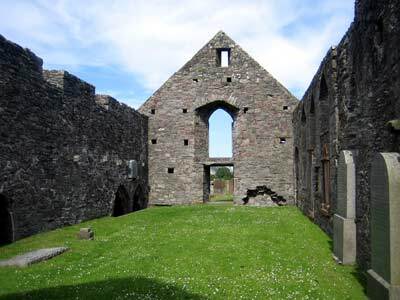 The first monastery here at Whithorn was a scatter of simple wooden or dry stone buildings, the most important being St Ninian's stone church "Candida Casa" (the White House from which Whithorn gets its name). 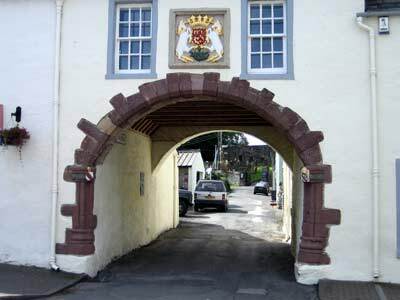 Whithorn Priory is easily overlooked if you are passing through the town of Whithorn, as it is concealed behind this archway, on the main street. This building is part of the medieval gatehouse belonging to the priory, and locally known as "The Pend", a name which refers to the covered archway with suspended room above. 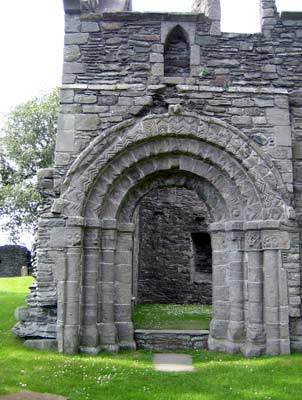 This entrance to the priory would have been the point at which pilgrims left the secular world behind, and entered the sacred precincts of the monastery and shrine of St Ninian. The coat of arms of the Stuart kings on its facade would have been a constant reminder to burgesses and pilgrims of the priory's status and of the source of its influence. 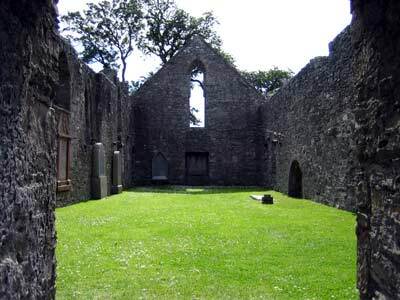 At the beginning of the 16th century, James IV visited Whithorn almost yearl, following in the footsteps of earlier Scottish monarchs such as Robert the Bruce, in seeking spiritual and physical healing at the shrine of Scotland's most revered saint, Ninian.